HIGH Fighting on an arid oilfield. What could go wrong? LOW Peepers is right here, lady. Advance that sidequest already. WTF Accidentally eating someone’s leg that was in my backpack for… perfectly legitimate reasons. It’s fantastic that the Divinity series has finally achieved the recognition it’s always deserved. As a relatively casual fan who’s been with it since the early days, I’m pleased to see that their slightly off-kilter approach to role-playing, worldbuilding and absurdist humor is finally being appreciated by a wider audience. Beginning with the release of Divine Divinity back in 2002 through various spinoffs and sequels like Divinity 2: Ego Draconis and Divinity: Dragon Commander, Larian Studios have been able to consistently deliver great stories filled with even better characters and quirky humor, often paired alongside deep and absorbing quests full of exploration, secrets and and hidden treasures. Now, with the release of the Definitive Edition of Divinity: Original Sin 2, they may have produced their finest work yet. 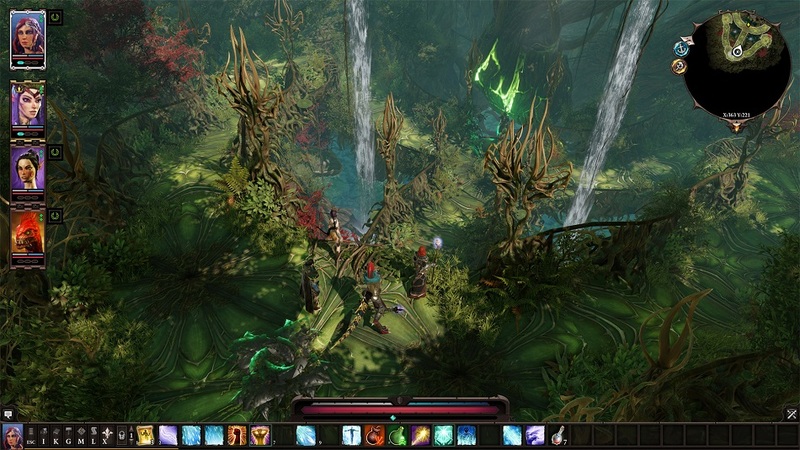 After creating a new character (or choosing a premade one with their own unique backstory) players are thrust into the world of Divinity as a captive sourcerer en route to the prison island of Fort Joy. Sourcerers, so it is claimed, are tearing open the veil between this world and a far uglier one just by existing, more or less, and this causes monstrosities known as Voidwoken to spill through and start munching on the local populace. It’s a claim that would be easier to accept if the magisters involved in rounding up the sourcerers didn’t seem to be a bunch of bloodthirsty maniacs. That said, the sourcerers aren’t exactly a bunch of tree-hugging pacifists either. Needless to say, in my game plenty of people on both sides wound up getting a warhammer through the face. The adventure takes place via a semi-isometric view, with complete camera control afforded to players for zooming in and out or adjusting the viewing angle as they traverse the overworld or any dungeons they encounter along the way. Once battles are triggered, time grinds to a halt and players and enemies duke it out for supremacy using action points until one side’s a pile of mushy giblets. 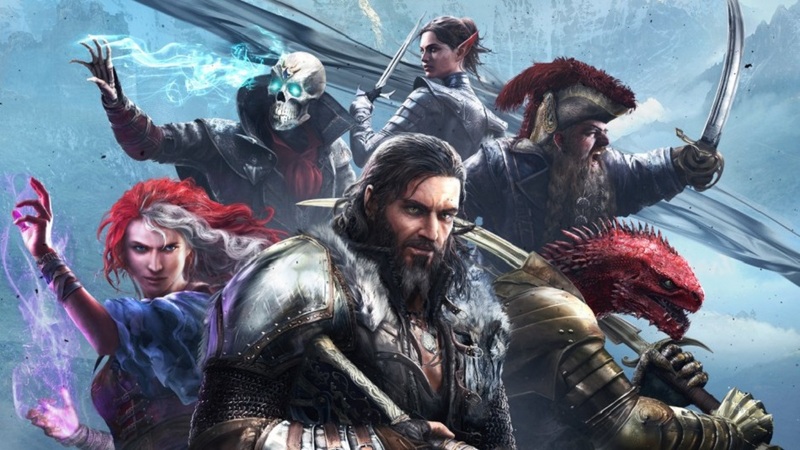 One particularly neat thing about Divinity: Original Sin 2 is that there’s comprehensive multiplayer which can be done with friends either via couch co-op or online. Split screen works flawlessly, with players able to break off and meet up as they wish, and the online seems rock-solid as well. I’m not sure playing with randoms would be a great experience as there’s plenty of room for griefing, and complicated encounters would be tough to coordinate when everyone’s off doing their own thing, but the option is a welcome one regardless. It should be noted that the writing and quest design are excellent, as expected. Dialogue frequently balances absurdist humor alongside just the right amount of gravitas for any given situation, making potentially ugly scenarios engaging or even hilarious at times, whilst also affording more serious moments the respect they deserve. 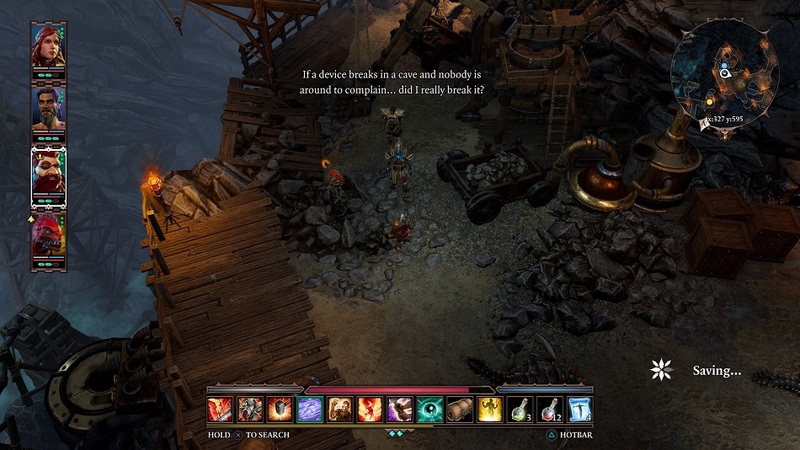 It’s not easy to make a kid being chomped by a shark laugh-out-loud funny or stone-cold serious depending on dialogue choices, but Larian has walked that tightrope with ease. When talking can’t get the job done and it’s time to slice some flesh, characters can spend those aforementioned action points to move around the battlefield, chant spells or shatter some dude’s kneecaps with a staff before the next character in queue gets their chance to do the same. 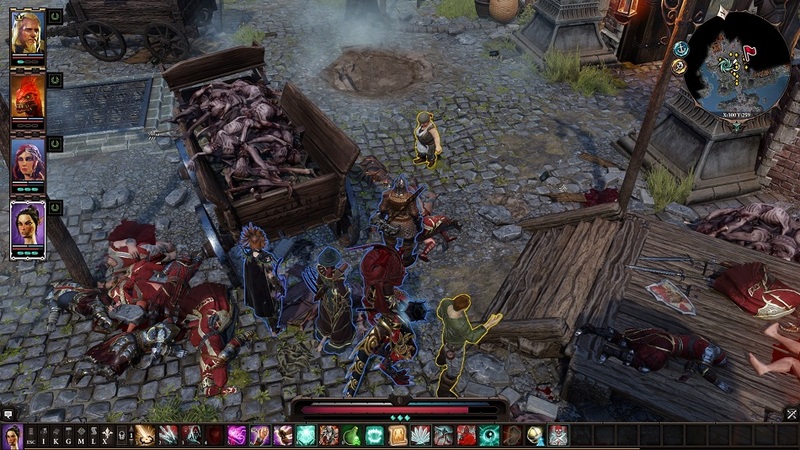 Each character can have armor that resists a certain amount of physical or magical damage before their health starts depleting, but what truly sets Divinity: Original Sin 2 apart is the emphasis on how the elements available in each battlefield interact with one another. Someone’s on fire? Douse them with water. Enemies are standing in a puddle? Blast them with lightning. It’s an impressive system, though I found it gets abused – very few fights happen without the enemy taking every available opportunity to freeze, stun, cripple, immobilize, ignite, bowl over, drain, mind control or teleport the player’s party in some negative way. The sheer array of possibilities ensures that it’s a tactically rich system, but it bogs everything down a bit too much at times — I often found myself watching my characters skip turns while sliding round on their asses, and wound up wishing there was an optional mode that cut out all the elemental interactions during battle. Not because it’s difficult to contend with, but because it makes fights take longer than they should, even when the outcome is never in doubt. As much as I enjoyed my time with DivSin 2, there are still some annoyances – oddities like heading into battle as a group, only to find that three of four characters in my party sitting around doing nothing because they’re outside the ‘active’ zone. I also had a few quests lose their way too — after completing certain requirements, NPCs simply clammed up and couldn’t be made to progress the questline. Thankfully these were relatively minor side activities and not main quests, but it’s still disappointing. Given that it had to make the leap from a point-and-click mouse/keyboard interface to a controller, DivSin 2 handles the transition to a controller pretty well. That said, the controls occasionally lack precision, like when trying to select a character in the middle of a hectic melee encounter. 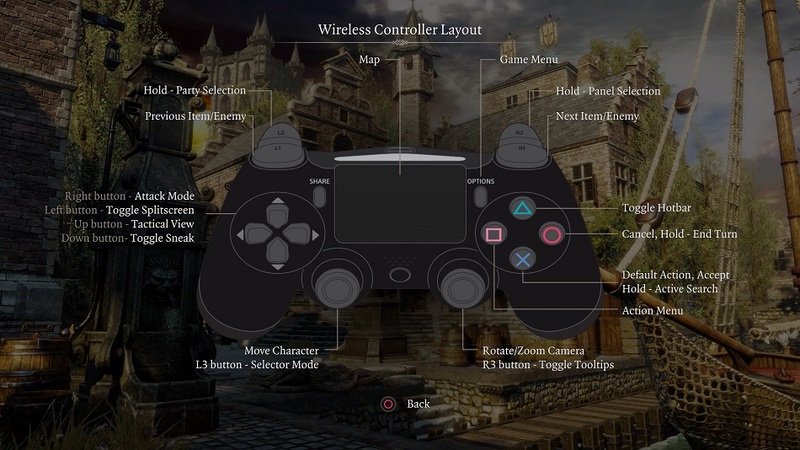 Otherwise, it employs radial menus to access common commands such as splitting up the party, hopping into stealth mode or delving into their backpacks, and it’s largely smooth throughout. Disclosures: This game is developed by Larian Studios and published by Bandai Namco Entertainment. It is currently available on PC, PS4 and Xbox One. This copy of the game was obtained via publisher and reviewed on the PS4 Pro. Approximately 85 hours of play were devoted to the single-player mode, and the game was completed. 4 hours of play were spent in multiplayer modes. Parents: According to the ESRB, this game is rated M and contains Blood and Gore, Language, Sexual Themes and Violence. While there’s great humor softening the edges of the narrative, a lot of seriously nasty stuff happens throughout, and some areas are stuffed to the gunnels with blood, death and torture. It’s not suitable for kids, but it’s also not as harrowing as it could have been. Deaf & Hard of Hearing Gamers: No problems here. Everything is subtitled, and aural clues often, if not always, have an onscreen accompaniment detailing what just happened. The text is not resizeable, but I would say that this game is fully accessible.